If you’re of a certain age, you probably have a vivid memory of exactly what you were doing when you first heard the the shocking news of President John F. Kennedy’s assassination. It’s an event that changed the course of history. It also had a lasting effect on U.S. coinage. In fact, just three days after the tragedy in Dallas, the U.S. Mint started work on the 90% Silver Kennedy Half Dollar. Fittingly, the design selected was one that Kennedy had personally approved for his 1961 inaugural medal. The new Kennedy Half Dollar would prove to be one of the mint’s most popular half dollar designs right from the start – and within months of its release, Americans were waiting in line for hours at banks across the country. Many left disappointed. But as grieving citizens scoured the market in search of these treasured mementos, the U.S. was facing a coin shortage that threatened to disrupt the everyday business of the country. One of the reasons? The half dollar struck to honor one of our most popular presidents – a coin so prized it rapidly disappeared from circulation. The first. The last. The only. 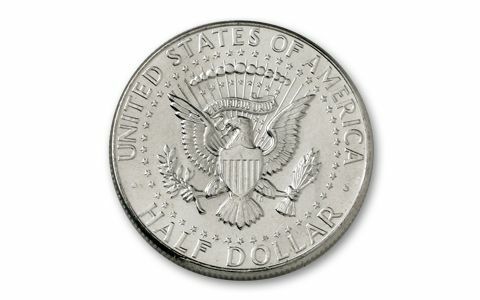 Kennedy Half Dollars would continue to be struck for circulation by the U.S. Mint for decades. 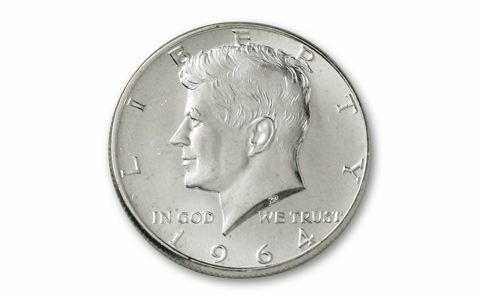 But as the first, last and only Kennedy Half Dollar ever issued for circulation in 90% silver, collectors continue to covet the 1964 coins above all others. 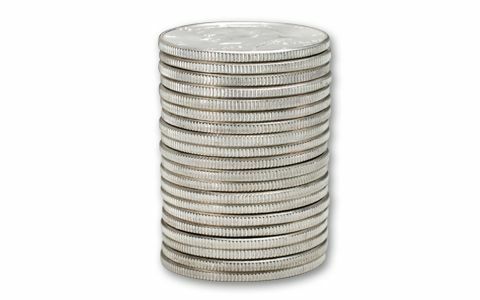 Almost 50 years later, you can still own these historic Silver Kennedy Half Dollars in Brilliant Uncirculated (BU) condition! 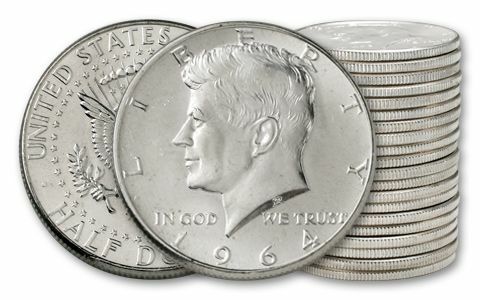 And as we approach the 50th anniversary of the November 1963 assassination, these first-year Silver Half Dollars are sure to be in demand once again. Order yours now!